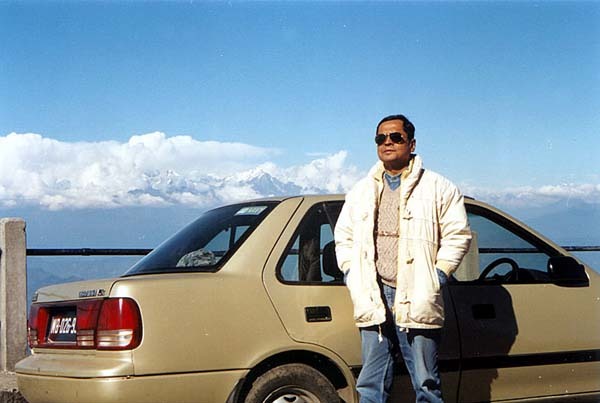 During December 2001 / January 2002 the Mukherjee family holidayed at Gangtok and Darjeeling. We travelled by car from Kolkata. 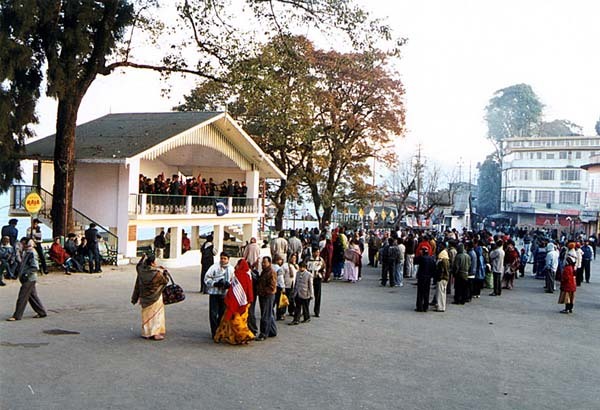 Our motor route was Kolkata - Siliguri - Sevok - Gangtok - Rumtek - Teesta - Darjeeling - Kurseong - Pankhabari - Matigara - Kolkata. 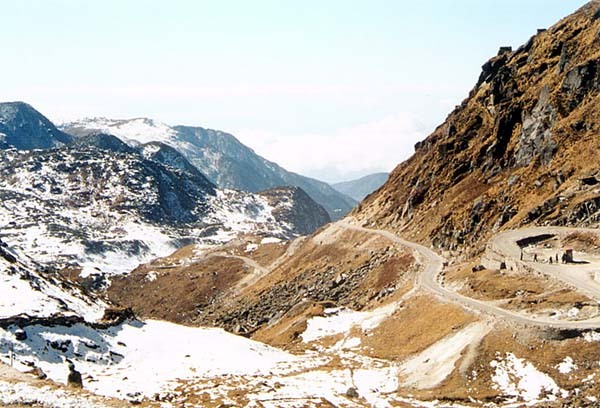 The 'ghats' between Teesta - Ghoom and Kurseong - Pankhabari are quite steep. Our car (Maruti Esteem), driven by me throughout, behaved very well without any breakdowns. The high point (in more senses than one!) of our holiday was undoubtedly the trip to Nathula. One is not permitted to take one's own vehicle there -- we went there by an Army vehicle from Gangtok. Visiting the Chinese border at 14,500 ft. was a unique experience for all of us. 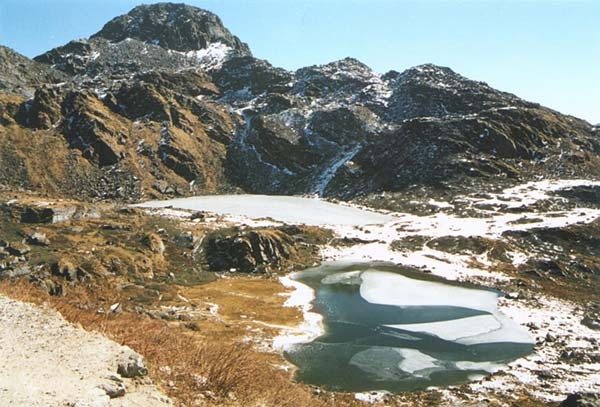 The breathtaking views of Kanchenjunga and other peaks from Gangtok and Darjeeling were the other high points of our holiday. I would love to share some photos of our trip with you. 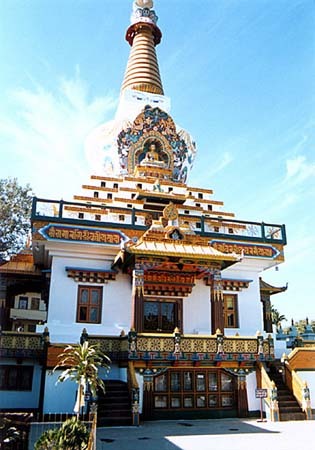 é One of several Budhdhist Stupas / Monasteries we visited. This one is on Sevoke Road, Siliguri. 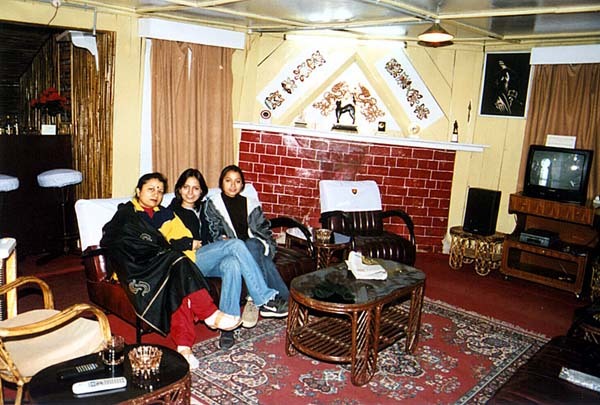 é At the Army Officers' Mess at Gangtok where we stayed. 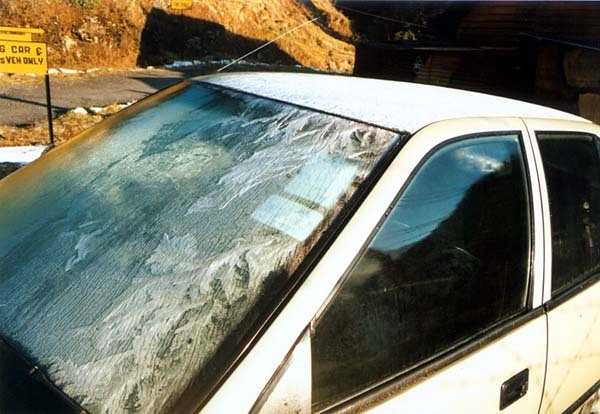 é My car is covered with frost early in the morning at Gangtok. 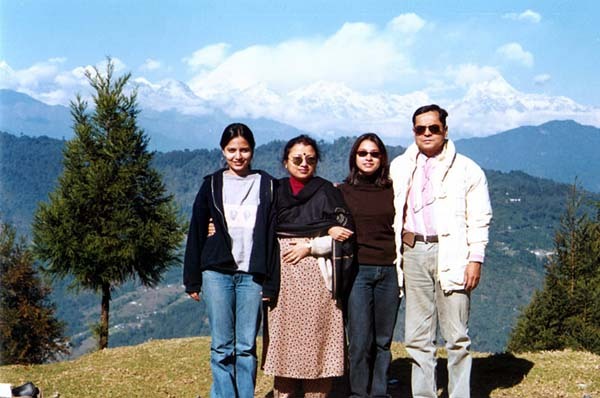 é The Mukherjee family at Gangtok. 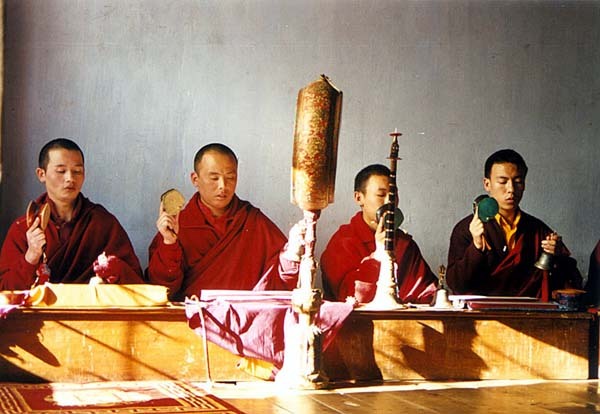 é A funeral ritual in progress at the Phurba Chorten monastery at Gangtok. 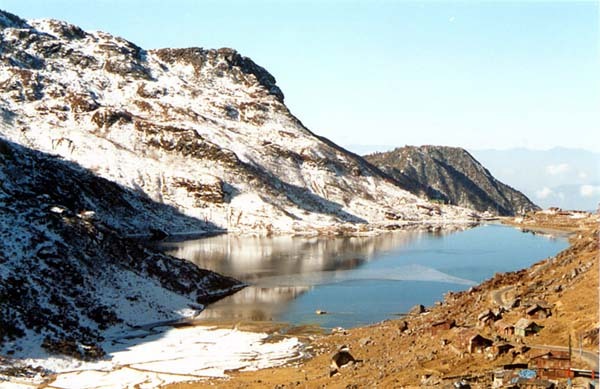 é Scenic beauty along the Gangtok - Nathula road. 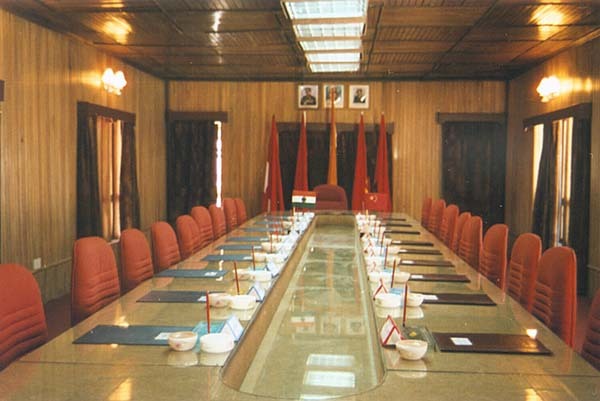 é The Indian Army Conference Hall at Nathula. 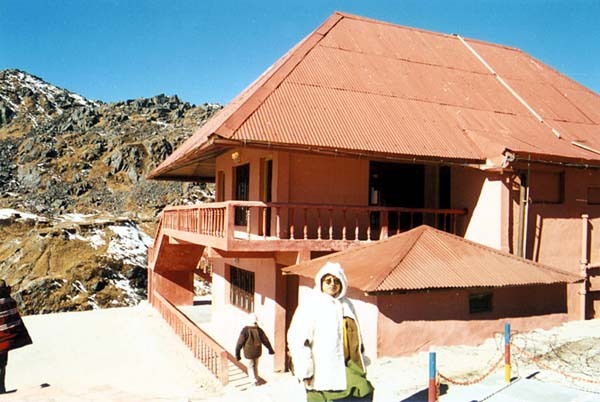 Indian and Chinese authorities meet periodically at this 'highest conference hall in the world'. 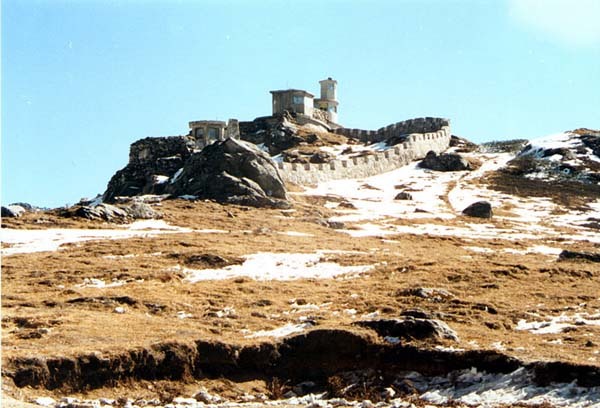 é A Chinese 'observation post' at Nathula. 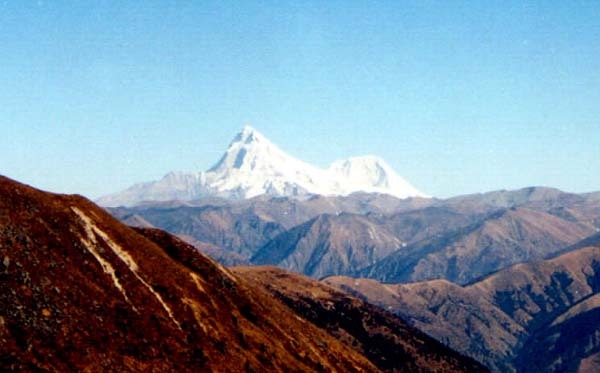 é The 23,997 ft. (7314 m) Chomolhari mountain peak (located in Bhutan) as seen from the Nathula pass. 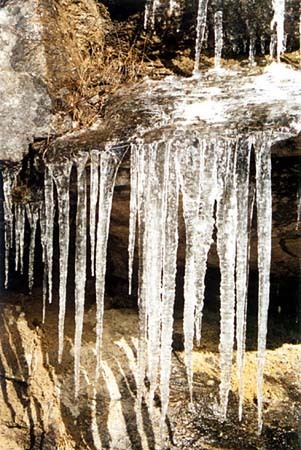 é A frozen waterfall near Nathula. 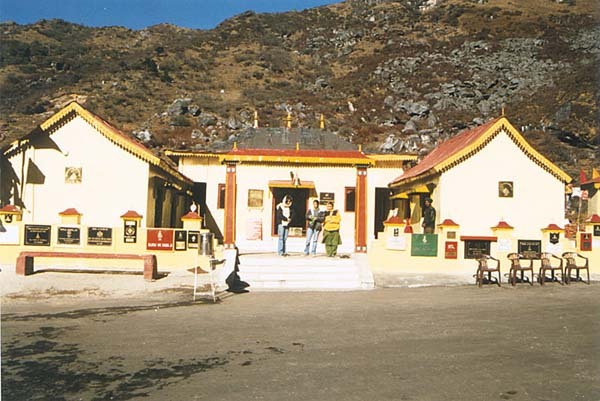 é The temple of Baba Harbhajan Singh (an Indian Army Sepoy whose death in an accident near Nathula was reportedly followed by several miracles). é A frozen pond along the Nathula road. 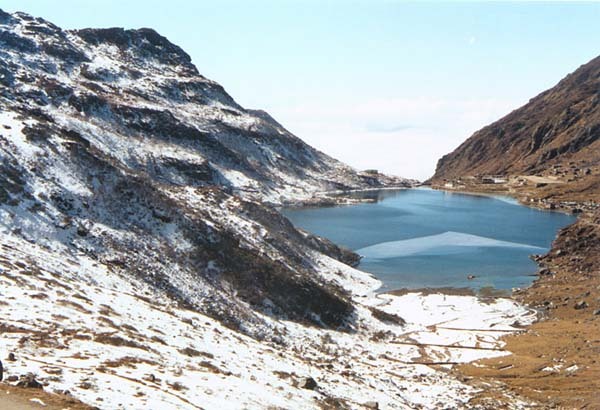 é The Tsongo lake at an altitude of 12,000 ft. along the Gangtok - Nathula road. 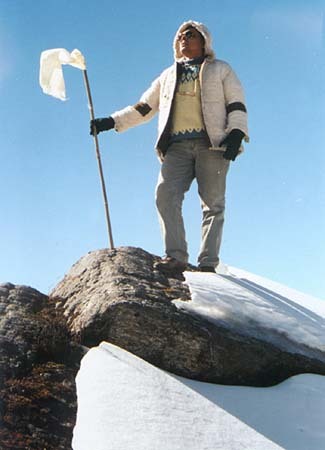 é Near Nathula my daughters freak out on the frozen mountainside as I pose atop a 'peak'! 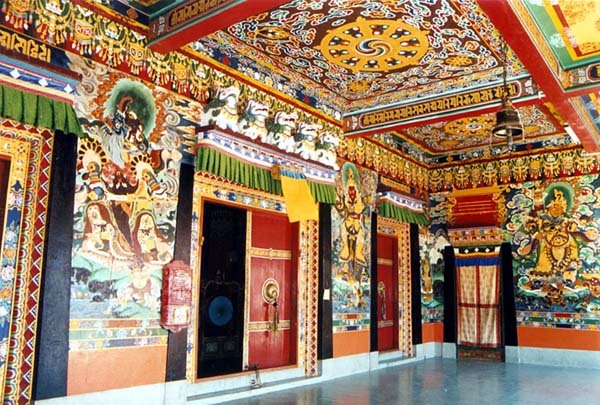 é The famous Rumtek Monastery near Gangtok. 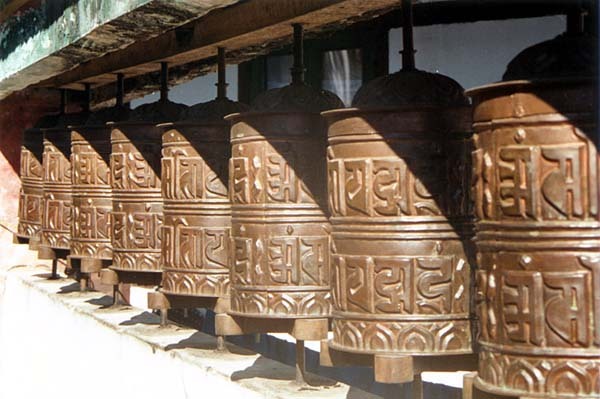 é Prayer wheels at the Rumtek Monastery. é The band-stand at the Mall at Darjeeling. The Police Band / Bagpipers perform here every evening for an hour. 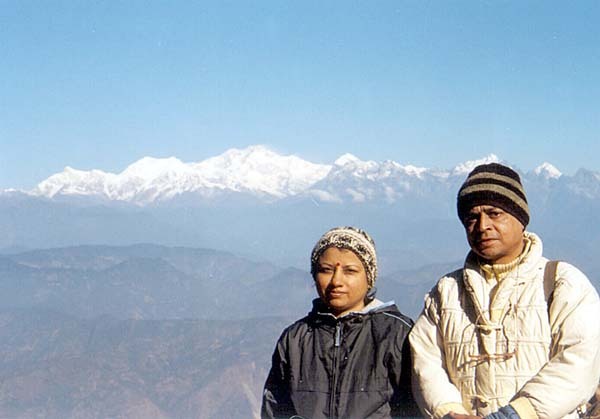 é Clear view of Kanchenjunga from Darjeeling. 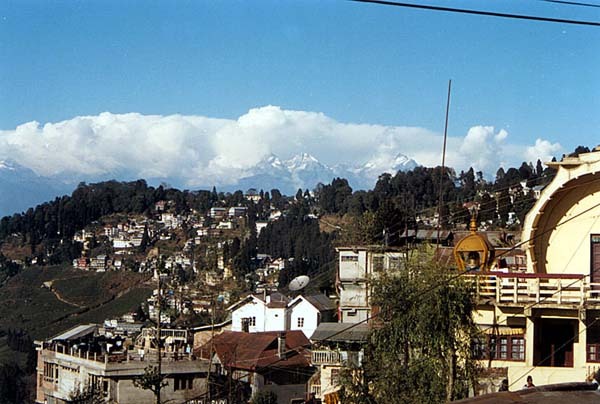 é Darjeeling town with the majestic mountains in the background. 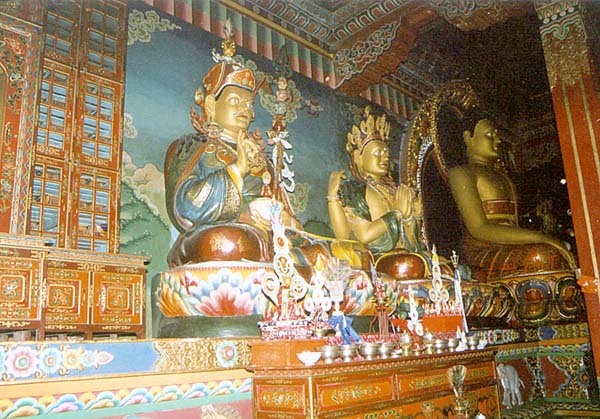 é Inside a monastery near Darjeeling. é Mountain + machine + man at Tiger Hill near Darjeeling.